The Graduate School of Arts and Sciences (GSAS) Centennial Medal, first awarded in 1989 on the occasion of the school’s hundredth anniversary, honors alumni who have made contributions to society that emerged from their graduate study at Harvard. It is the highest honor the GSAS bestows, and awardees include some of Harvard’s most accomplished alumni. Wade Davis is an ethnographer, ethnobotanist, writer, photographer, and filmmaker. Named one of the Explorers for the Millennium by the National Geographic Society, he has been described as “a rare combination of scientist, scholar, poet, and passionate defender of all of life’s diversity.” He has traveled throughout the world, including Africa, Borneo, Nepal, Peru, Polynesia, Tibet, Australia, Vanuatu, Mongolia, and the high Arctic of Nunavut and Greenland. A passionate advocate for indigenous societies and languages, Davis has brought the plight of disappearing cultures to the global stage, recording in print and image the great diversity of the world’s peoples. An American historian and biographer, Robert Richardson has written award-winning intellectual biographies of great American philosophers. After earning his Ph.D., he taught English at Harvard before joining the faculty of the University of Denver, where he published several books on myth, including the highly praised volume The Rise of Modern Mythology, 1680–1860. After a 25-year academic career, Richardson became an independent scholar, writing biographies of Thoreau, Emerson, and William James, as well as a tribute to his mentor and Harvard professor Walter Jackson Bate. Louise Ryan is head of the maths and information-sciences division of the Commonwealth Scientific and Industrial Research Organisation, Australia’s national science agency. Ryan came to the United States from her native country to study statistics, eventually serving for 30 years as a biostatistician at the Harvard T. H. Chan School of Public Health (HSPH). During her time at the school, Ryan conducted research that demonstrated the power that statistics holds to elucidate issues in seemingly unconnected areas: cancer, vaccinations, heart disease, environmental health. She also championed an exemplary summer program dedicated to encouraging minority and female students to pursue graduate study in biostatistics. 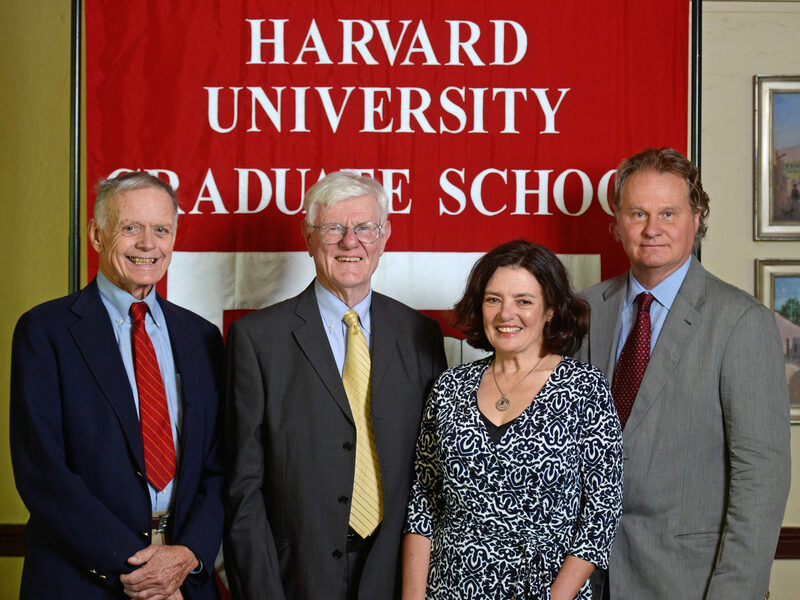 Gordon Wood is Way University Professor and professor of history emeritus at Brown. A specialist on the creation and influence of the American Republic, Wood has received accolades for his many books, including The Creation of the American Republic, 1776-1787, which won the Bancroft Prize, and The Radicalism of the American Revolution, which earned him the Pulitzer Prize for history. In 2011, he was awarded the National Humanities Medal by President Barack Obama.